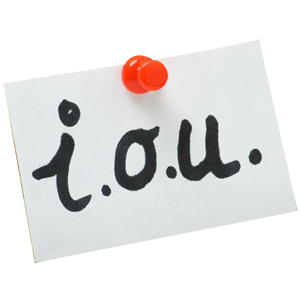 Have you received a debt collection letter or are you getting calls from Idem Servicing? Do you need advice & help on how deal with Idem Servicing debt collectors? Below you'll find out everything there is to know about Idem Servicing, including their contact numbers and address information. Idem Servicing are a debt recovery company, they are part of Paragon Finance PLC. They basically buy "bad debts" or "old debts" from banks, credit card companies and other lenders at a discounted rate. They then chase the debtor for the full amount of the original debt. The original creditor will have sold the debt to Idem Servicing. 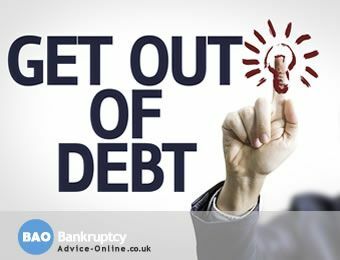 The debt collection agency (Idem Servicing) typically pay as little as 10p for every pound of debt they buy, but will chase you for the full amount of the original debt plus interest and costs. So the chances are they are calling or writing to you because they have purchased your debt from the original lender, like Picture Loans, MBNA, Black Horse Car Finance and more. They now own the debt and believe you owe money. Idem Servicing are just a debt collection agency, and therefore have to provide clear evidence that you owe the money. Our experts deal with Idem Servicing every day, and can quickly help you determine if the debt is statute barred, in which case you won't have to pay anything. If you do owe the money then we can also give you a FREE financial assessment, which you can then send to Idem Servicing. What can Idem Servicing Credit do? Therefore, under the rules laid down by the FCA, Idem can not claim unfair or excessive collection charges, they can not harrass you, they can't threaten to seize your property (when lawfully they cannot), they can not bypass an appointed representative and contact you directly. The FCA also bans debt collectors from threatening legal action when it is unlikely to take place. If you're one of the many people being sent constant letters, text messages and not answering your phone without looking at "whocallssme.com" in order to avoid the many (and we mean MANY) phone calls by Idem Servicing. Or if you have received a letter about a debt you don't recognise or think you've paid off, or if you are struggling to repay debts, fill in our simple form and we’ll call you back to see if we can help. Please note that we are not associated with Idem Servicing or Paragon Finance PLC in any way. The information on this page is provided to help people contact their creditors. If you’re finding it difficult to make your monthly payments to Idem Servicing or Paragon Finance PLC you may need help looking at your budget and managing your debt. We deal with such companies all day, every day and we know exactly how to approach them. If you’re struggling to repay a debt and would like us to deal with Idem Servicing on your behalf and STOP the calls and letters, or simply need a bit of advice, just click on the GET HELP NOW button below. Need Help With Idem Servicing Debt Collectors? If you want more help on dealing with Idem Servicing, call our FREE Helpline on 0800 368 8133 (freephone, including all mobiles) or take the online debt test and find your best solution. Need help with Idem Servicing?